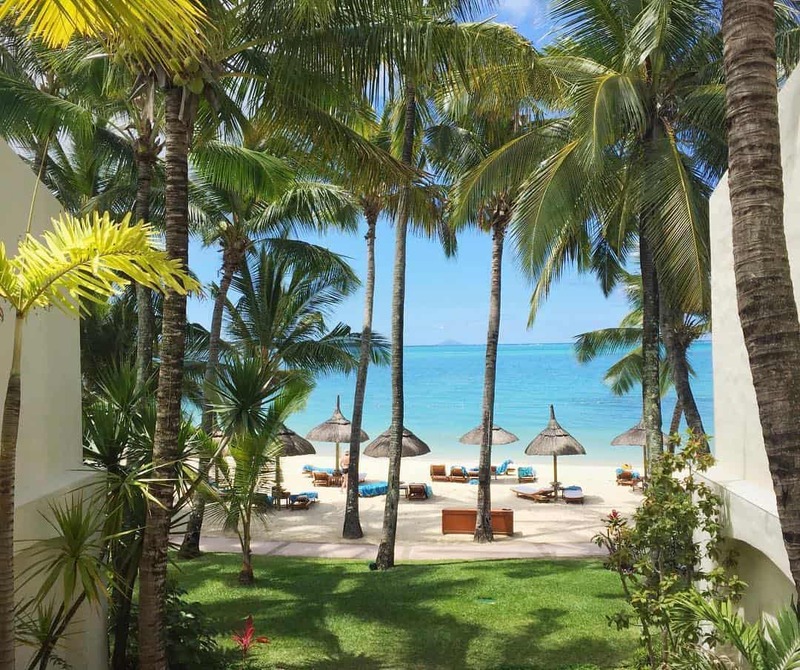 Bejewelled with swaying palms, this luxury 5-star resort is reborn amongst endless beaches and azure lagoons of eastern Mauritius. 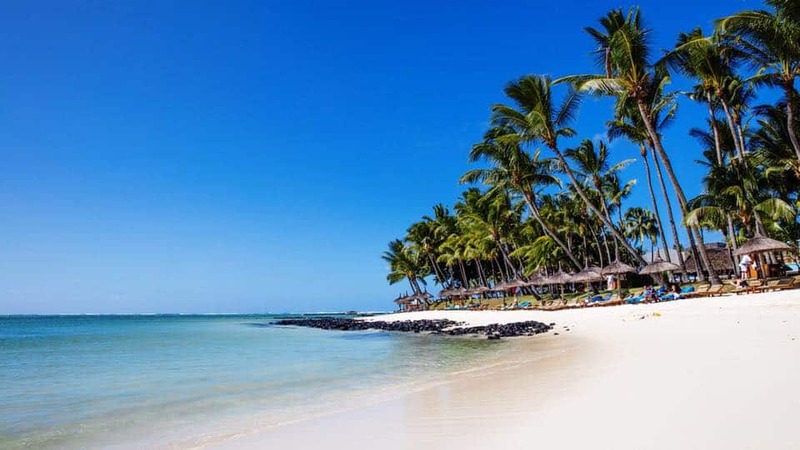 At the northern tip of the renowned Belle Mare coastline this iconic resort is nestled on a pristine private peninsula with two stunning coastlines and is the is the ultimate tropical playground for romantics and adventurers alike. Take in views of sugarcane covered mountains and the surrounding coral reef, before trying the latest water sports. Direct beach access is a memorable highlight of these beautifully situated, ground floor rooms. Right at the sand’s edge, a large furnished terrace extends your private living space. Overlooking the picturesque beach front, all rooms are perfectly poised to take in the glory of the most beautiful sunrise on the island. Located on the first floor, directly above white sands. Enjoy elevated views across the sun-soaked coral sands that lie just a stone’s throw from your first floor, private balcony. Spectacular ocean views grace the spacious first floor balcony overlooking tropical gardens below. An ocean-view oasis, with two en-suite bedrooms, and an airy living and dining room that opens up to private decking, surrounded by lush garden. Two en-suite bedrooms, two generous balconies, and an airy living and dining room that commands breathtaking ocean views. Three en-suite bedrooms are complemented by exceptional indoor/outdoor living space, with a generous private deck on the edge of powdery white sands. 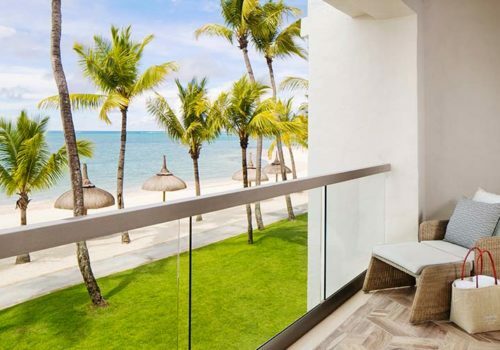 Three en-suite bedrooms graced with dedicated balconies, alongside exceptional shared living space overlooking the idyllic white sand beach. 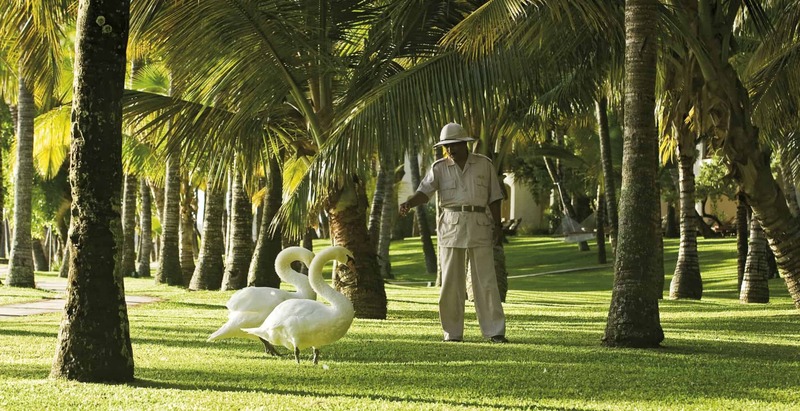 Nestled amongst stunning tropical gardens with sublime Indian Ocean views, indulge in the exclusivity of your own private estate, complete with a dedicated butler, chef and valet to cater to every whim. 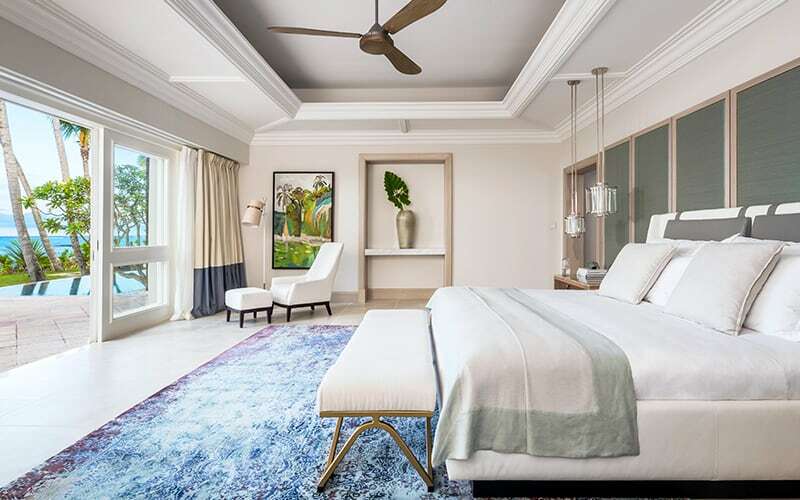 Recently reborn, much-loved Dutch colonial-style architecture of this resort has has been carefully restored and complemented with traditional Mauritian stonework, select pieces of local art, sublime modern design and idyllic spaces framing mesmerising views. 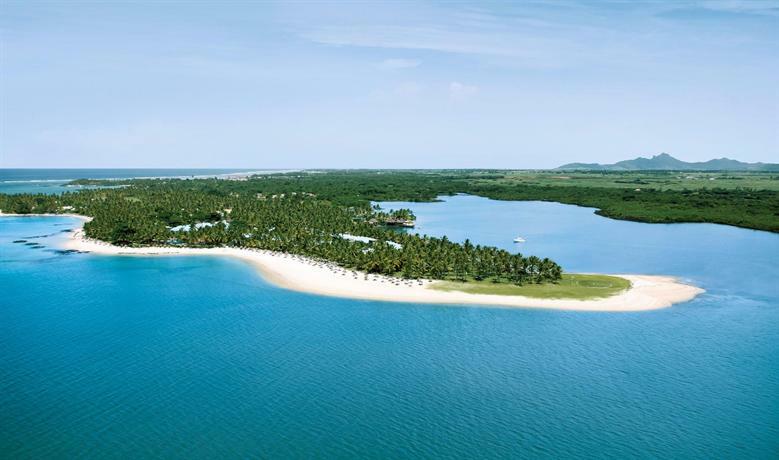 Almost two kilometres of pristine sands line our stunning oceanic coastline and tranquil lagoon, providing endless locations to claim as your own and enjoy the enchanting waters. The resort Boat House offers a host of thrilling sports, from complimentary activities like water-skiing, paddle boarding, and kayaking, to extra-special experiences, including the flying fish, PADI Scuba diving, banana rides and so much more. Celebrity Chef Marc de Passorio, harmoniously orchestrates four ultra-stylish restaurants, from gourmet to ‘feet in sand’ atmosphere. Try a morning on the Henri Leconte Padel court, an afternoon exploring the ocean’s wonders, and a spot of sunset yoga to restore inner-peace. Savour the mouth-watering flavours of carefully-sourced proteins and fresh organic produce, cooked to perfection in the trendy, industrial-style grill house. Incredible lagoon views at every turn. Aromatic scents drifting from open-kitchen stations. Tantalising pan Asian flavours in every unique bite. It’s a veritable feast for the senses. With uplifting colour palettes and rustic, crafted furnishings, the artisanal bakery and specialist coffee vendor is the perfect air-conditioned haven to enjoy delicious sweet treats, the freshest salads, sandwiches and healthy delights any time of day you want. Relish the finger-licking flavours of freshly grilled seafood in the relaxed surrounds of Palm Grove beach.